We read electric meters once every month. Our meter readers, electric utility workers, and the fire department personnel must have access to all electric meters. When putting on an addition to your home or business, check to see if the meter must be moved. Contact the Electric Department at 419-633-6120 for advice on the best location for the meter. 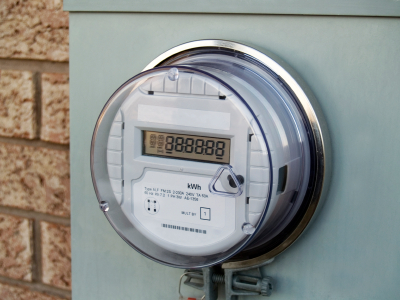 Moving the meter is the responsibility of the homeowner or business. When work on the meter base or main breaker is needed, please give us 48 hours notice to disconnect the service. The city meters and bills electric use in kilowatt hours. Tampering with an electric meter is a federal offense. It is also extremely dangerous. Only Bryan Municipal Utility personnel are authorized to break or replace a meter seal. If you believe someone is tampering with an electric meter, please contact us immediately at (419) 636-6120 or electric@cityofbryan.com. All billings are subject to the provisions relating to the monthly service charge, power supply cost adjustment and other provisions as set forth in Schedule “R”, Rider “A” and the Electric Department General Rules and Regulations. All temporary electric services installed cost $50 per temporary board. Temporary locations must be approved by the Electric Department. Bryan Municipal Utilities will supply the service wire without charge. The homeowner will pay the cost of digging the trench per utility specifications and filling the trench after the Electric Department places the underground wire. The Electric Department will determine the location the service will be dug from the point of service to the home.